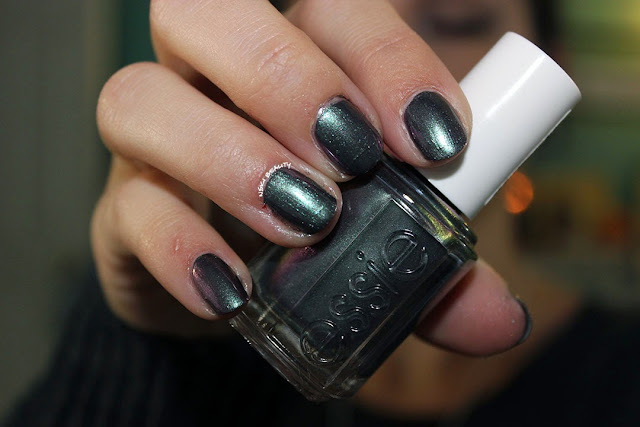 But any who, before I disappeared because of my wedding and honeymoon in September I posted the press release for Essie's Fall 2013 - for the twill of it collection. I am happy to say I got my hands on few of these babies and am loving them so far! For this week's mani I decided to go with the headlining polish For The Twill Of It. 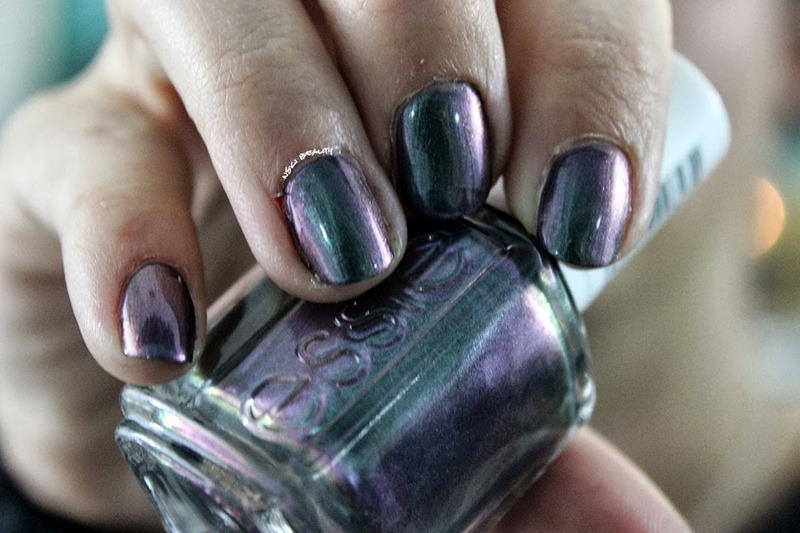 It's a cameleon shimmer color that offers you a range of colors from olive, pink, purple and gray. As usual I applied my typical two coats of polish and finished off with my all time absolute favorite top coat that no matter what I always go back to inm's Out the Door. Hands down best top coat EVER! 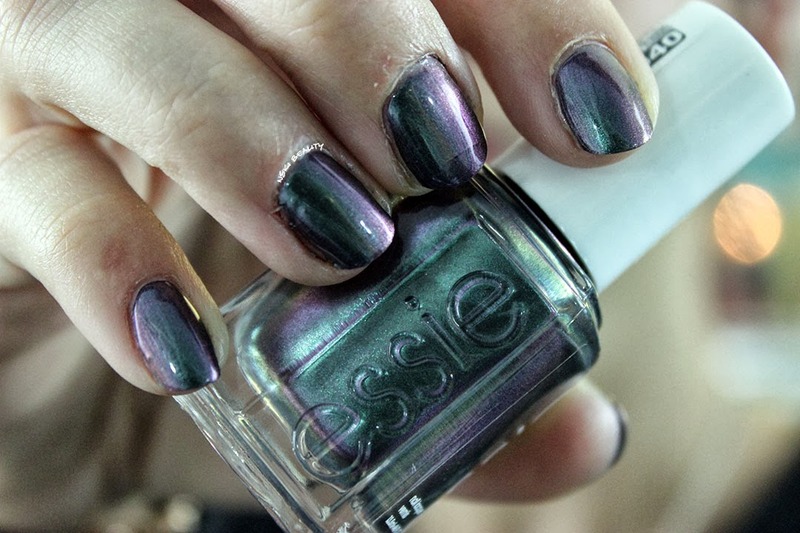 Now tell me this color isn't the coolest polish you've seen in a while! I love the multitude of color and it kind of makes me think of mermaids which makes it EVEN better! Also please disregard my cuticles.. I'm drenching them in cuticle oil as we speak... They are uber dry for some reason... I'll blame the acetone polish remover.